Initial screenshot posting "never was planned"
Miiverse has had its share of community controversies, typically when users have been restricted from posting content they want to share. Comic Workshop fell victim to this problem when screenshot sharing was rapidly removed from the community, frustrating those that wanted a quick and easy way to share their creations with others online. Somewhat out of the blue, however, Collavier Corporation informed us this week that an update on 14th May will bring screenshot posting back in North America and Europe. While that's excellent news, we nevertheless got in touch with the studio seeking details on the initial problem, and how the update will resolve the issue. Jeremy from Collavier has come back with the following details, explaining what happened back in July 2014 and how it's not being resolved. My name is Jeremy and I'm taking care of international relations for Collavier on top of being a programmer. The same Jeremy you can see on Miiverse! What happened with the community? Firstly, you should know that posting screenshots to Miiverse for Comic Workshop never was planned to be available. The few days of authorized screenshot posting at the software's release were a mistake. With the Workshop Gallery (dedicated website for Comic & Painting Workshop) being quite popular in Japan, we'd hope western users would use it as well. Why was posting screenshots not authorized? The software include a Picture tool, a tool with which you can import photos saved on your console's library. In other words, you could post a photo of anything (persons, places, etc.) to Miiverse. As you may be aware of, it is strictly prohibited to do so on Miiverse communities. Why does the update makes it possible? A new option for the user to choose between using the Picture tool and the possibility to post screenshots is now integrated. When you create a new folder, a new function appears on the lower screen and this choice will be permanent for the whole folder and its content (pages). Unfortunately, taking screenshots from content made before installing the update will not be possible. The reason is simple, use (or not) of the Picture tool isn't imprinted in the save data, thus the software can't identify if you used or not the said Picture tool. We understand that this is quite unfortunate but there is absolutely no other choice. The solution to the problem was found during the development of Comic Workshop 2 (available in Japan) and seeing this, I personally asked if it could be possible to make a patch for the previous Comic Workshop and for Painting Workshop. The request was approved and we started working on it in January. It took time because it is more difficult to implement than you may think and a lot of time has been spent on debugging. It was specifically made for our dear North American and European users. The update isn't available in Japan and I'm not sure it'll ever be released. Can we be sure it'll not be disabled again? No. We made our best to make this update available but we are in no way responsible for Miiverse and its services. We never know, maybe someone will find a bug which makes possible to post pictures, in that case the fate of the community will depend on this user posting or not. So there you have it. 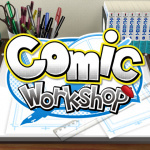 Are you looking forward to delving back into Comic Workshop to share some new creations on Miiverse? 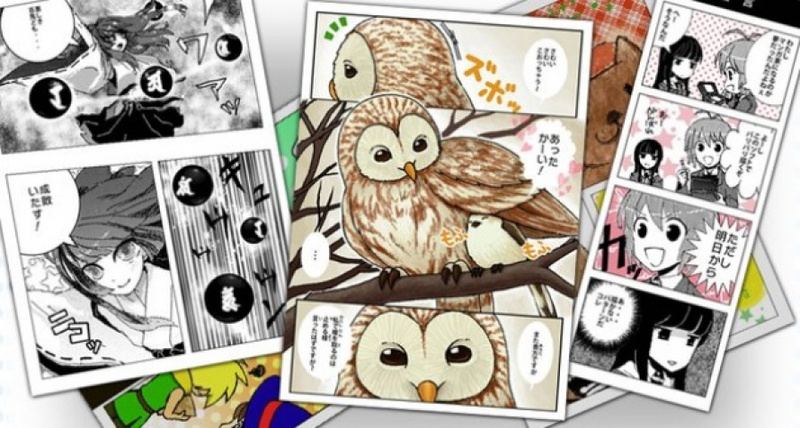 "The solution to the problem was found during the development of Comic Workshop 2 (available in Japan) and seeing this, I personally asked if it could be possible to make a patch for the previous Comic Workshop and for Painting Workshop. " That's a good attitude. Yeah, I bought comic workshop RIGHT when the "bug" was fixed... So I never ended up using it. Maybe I'll start it up again now! "Colors! 3D" is the better app in my opinion. Wow, that's really nice on their part. So many devs nowadays would just say "Hey, you want that miiverse integration? Come buy our sequel! ", but it's good to see them actually updating the old one. I would like this game, but I've already got Colors! 3D and barely even use that. Just wait until some idiot kid or adult for that matter abuses the screenshot posting by posting obscenities or Nudes. They will be shutting it down so fast it will make your head spin. All it takes is one idiot for Nintendo to make everyone else suffer. Why does this stuff even exist? Also the reason why they do not want people posting screen shots is because some artists might be too creative and post questionable images that would be debated. This might be an good tool I guess.